Today we had our annual Easter Egg Hunt for all the kids in the cul-de-sac. This is the fourth year we've done this - every year it is arranged by our neighbor and great friend Carrie Norteman. 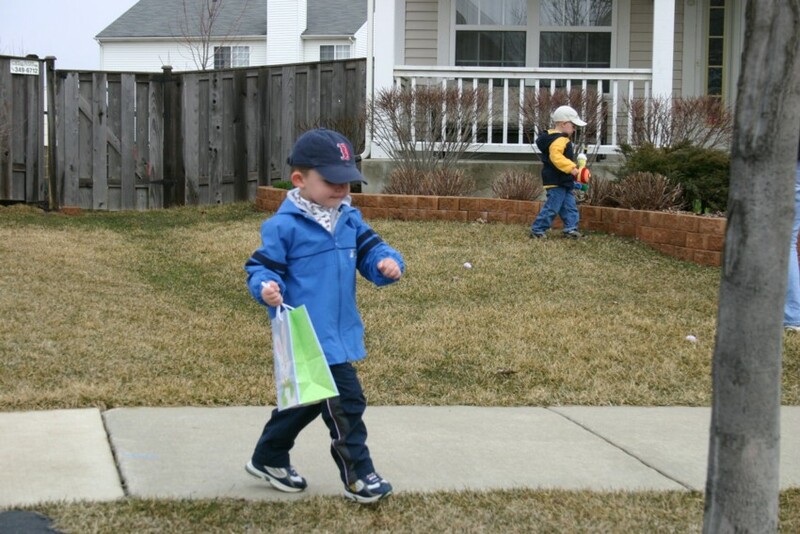 All the kids in the cul-de-sac (plus some who moved away but still come back for it) get to run around searching for Easter Eggs that are hidden in the yards. Here is a picture of Cody in hot pursuit of the elusive Easter Egg, and here is a picture of Bailey after he's just found one. 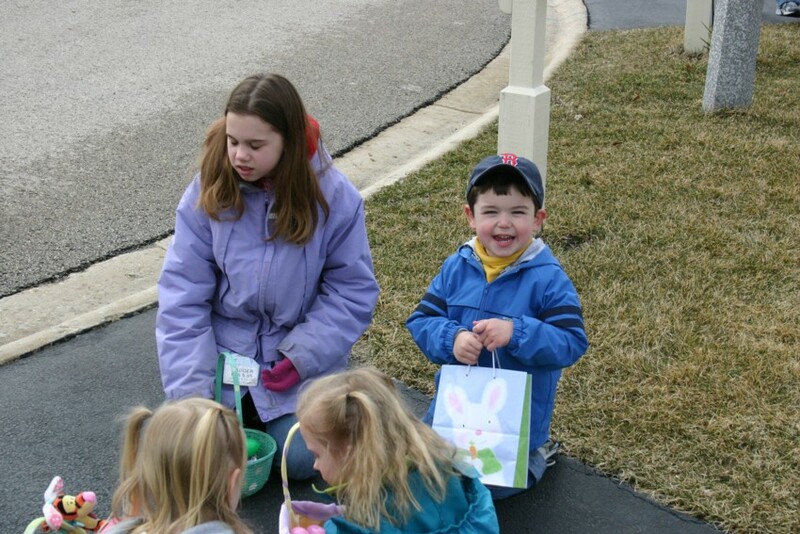 The annual Easter Egg Hunt is a lot of fun for all the kids, and for the adults too - Carrie Norteman gets a lot of credit for arranging and planning this every year! 3. Cody gnawing on some Laffy Taffy.